Prenatal tests are used in order to find any abnormalities that a fetus might have. The two predominant tests used now are amniocentesis and chorionic villus sampling (CVS), both of which are invasive and can cause harm to the developing fetus, possibly even miscarriage. Cell-free fetal DNA is a new alternative that is rapidly expanding prenatal testing in a safe, non-invasive way. Cell-free fetal DNA is found circulating within a mother’s blood stream. The fetal DNA finds its way into the blood stream through the placenta, where fetal blood and maternal blood have a limited opportunity to mix. 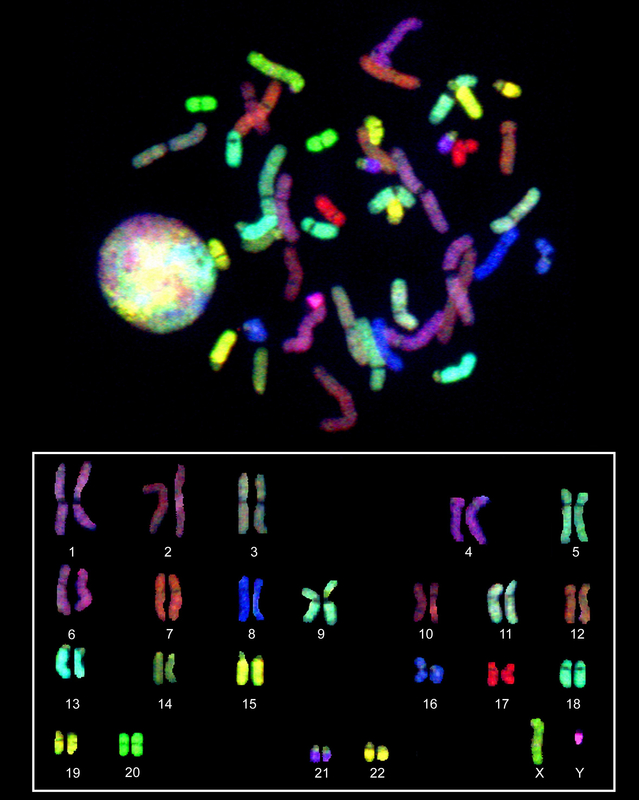 The fetal DNA is broken into extremely small fragments, on average less than 200 base pairs. There are also fragments of maternal DNA in the blood, and they significantly outnumber the fetal fragments. Fetal DNA can be first detected around day 21-24 after fertilization and concentrations increase as the pregnancy progresses. Diagnostic tests using fetal DNA are possible beginning the seventh week of pregnancy. This is compared to amniocentesis, which is usually done within weeks 14-20, and chorionic villus sampling, which can be done within weeks 10-13. For diagnostic purposes, the fetal DNA is very difficult to distinguish from the maternal DNA. Accordingly, only certain conditions can be screened for with this technology. These conditions include genetic diseases that affect the father only, the presence of a Y chromosome, an abnormally high amount of sequence from a particular chromosome (indicating an abnormal chromosome number), or an overall increased level of fetal DNA (which can indicate a problem with the placenta). “Amniocentesis.” American Pregnancy Association. Apr. 2006. Web. 03 December 2012. http://www.americanpregnancy.org/.